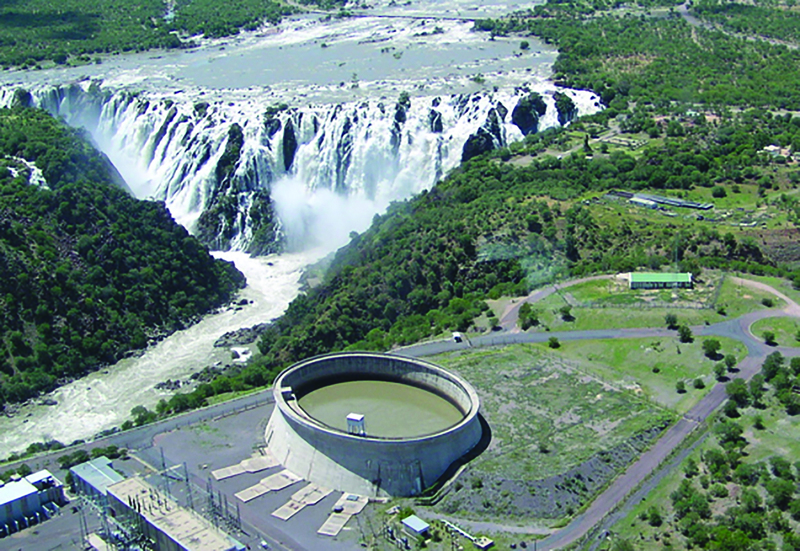 Namibia is a prime destination for investment in the hydro sector. The country has hydro potential of at least 10 000 GWh/year, of which only 11 per cent has been developed. Namibia has experienced a period of exceptional growth and economic stability (IMF Annual Report 2017), making it a prime destination for investments in the hydro sector. 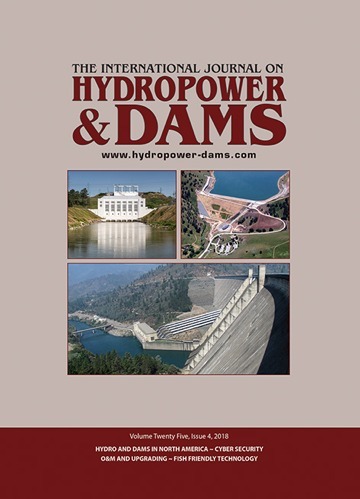 The hydropower potential of Namibia was re-evaluated in 2000 and according to this evaluation, the country has a theoretical potential of at least 10 000 GWh/year (equivalent to 2250 MW of capacity). The study indicates that while all of this potential is technically feasible, only 11 per cent has been developed. Supporting the case for development, the World Bank reported this year that “Namibia’s government continues to exercise the requisite leadership in developing and financing the policies it needs to address its development challenges, policies such as the Harambee Prosperity Plan, and the fifth National Development Plan”. NamPower typically imports more than 60 per cent of its annual energy usage from the SADC region, while the remainder is generated mainly by the Ruacana hydro scheme, which last year contributed 1593 GWh. The Ruacana turbine refurbishment project, which included the replacement of the turbine runners as well as upgrades to the governors and penstock inlet valves of Unit No. 1, 2 and 3, was completed in October 2016, after the upgrades on Unit 1 had proved to be successful. The installed capacity of the power station is now 347 MW, including the recent 15 MW increase (5 MW per unit). Last year, NamPower awarded an EPC contract to add 330 kW of PV generation at the Ruacana site to supplement the auxiliary supply requirements of the power station. The site is located adjacent to the existing powerplant head bay structure and will house approximately 1200 Tier 1 solar PV panels with generation fed into the existing 11 kV power station. Following the success of the Ruacana scheme, the 600 MW Baynes hydro project is a joint initiative being pursued on the Kunene river basin by the Angola-Namibia Permanent Joint Technical Commission (PJTC). The Techno-Economic Feasibility Study was contracted to a consortium of Brazilian companies (Cunene Consortium) and was completed in 2013. The Environmental Social and Health Impact Assessment (ESHIA) studies were contracted to Environmental Resources Management (ERM). The ESHIA studies are at an advanced stage, with negotiations between the project affected communities still pending. Project offices have been established in both Namibia and Angola and are tasked with managing all outstanding work necessary to make the project bankable. This includes the drafting of a bi-lateral country-to-country agreement, which is currently being developed by a multi-national legal consultancy (Miranda). The bi-lateral agreement will subsequently become known as the ‘Baynes Treaty’ and is scheduled to be completed by the middle of this year (2018). The Baynes Treaty will detail the project implementation model and relevant regulations, taking into account the bi-national nature of the project. 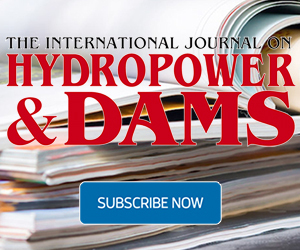 At the end of 2017, the Minister of Mines and Energy, Obeth Kandjoze, reported that development of the Baynes hydropower project will commence as soon as funds are available. Kandjoze said “all arrangements between Angola and Namibia with regard to the project remain in place and the project is strategically important to both Angola and Namibia in tackling power supply deficits”. Like the Ruacana scheme, Baynes will function as a peaking station so that national bulk electricity supplier NamPower can avoid buying imported power during peak hours. The Baynes power station is expected to run at full capacity during the wet season. During the dry season, generators will operate at maximum during peak periods only, and 71 MW would be generated during the off-peak periods. In a recent development earlier this year, while meeting Namibian President Hage Geingob, Chinese Parliamentary Leader, Li Keqiang, indicated his country’s readiness to synergize cooperation to promote Namibia’s development strategy and jointly facilitate economic globalization and trade liberalization. As we go to press (mid-May, 2018) Mr. Keqiang scheduled to visit Namibia to finalize several partnership agreements between the two countries. Another large project under development is the Neckartal project will include a curved gravity dam constructed with RCC. The structure which will span the Fish river and have a crest length of 520 m and a height of 80 m. More than 1 x 106m³ of RCC will be needed to complete the dam that will store a reservoir volume of 850 x 106m³. The scheme will irrigate agricultural land located approximately 21 km away. From a downstream abstraction weir, pumped water will be piped to a reservoir above the irrigation area, then gravity-fed to farms. Salini Impregilo SpA was awarded the N$ 2.8 billion (US$ 0.22 billion) contract to build the dam, and earlier this year reported to the permanent secretaries of the ministries of finance and agriculture as well as the acting permanent secretary of the National Planning Commission that there is “there is no risk to construction”. Meanwhile, Knight Piésold Consulting Engineers said it was difficult to pinpoint the completion date of the dam but estimated that it would be later this year. Meanwhile, a feasibility study has been submitted for the proposed Vioolsdrift dam, which would be built on the Lower Orange river. This would be a joint venture between the Governments of South Africa and Namibia. It is likely that hydropower would be one of the purposes of the dam, which is planned to have a height of 80 m. Another planned dam is Epupa, which could be 160 m high, and would be on the Kunene river. The total storage capacity of dams (including Neckartal) will be 1.57 km3. According to the World Bank Group flagship report “Doing Business 2018”, Namibia is the economy that improved most notably in the area of enforcing contracts in 2016/17. “Namibia made enforcing contracts easier by introducing an electronic filing system and an electronic case management system for the use by judges and lawyers”. For parties interested in pursuing investment opportunities, the Government of the Republic of Namibia, through the Min­istry of Mines and Energy, is responsible for the power sector while the Namibian Power Corporation (NamPower) is responsible for the generation and transmission of electricity. Expressions of interest are sought by 19 June for a feasibility study for a new dam and powerhouse project in Lao, PDR, and a feasibility study for an existing scheme. Plans have been submitted to the French Government for a 1 GW tidal array. A study carried out in the Raz Blanchard strait considered it to be one of the best tidal energy resources in the world.